HF: Added information in red. It seems extraordinary now that there was a farm with 80 imported dairy cattle in 1886 on Hong Kong island. In 1941 just before the Japanese occupation of HK this number had risen to between 1,800 and 2,000. Where were they? In Pokfulam at Dairy Farm’s estate. Dr. Edward Yiu, Associate Professor of the Department of Geography and Resource Management at the Chinese University of Hong Kong, appears in a Ming Pao newspaper article published in Chinese on 23rd August 2015. He argues that what remains of the Dairy Farm land could well qualify as the first ecological-heritage park in Hong Kong and that it should be protected from Government proposals to build 9,000 new flats there. Dr Yiu has kindly sent me an English translation of the Ming Pao article on Facebook by Jessica and Claudia. The photos and captions shown here are those attached to this Facebook translation. 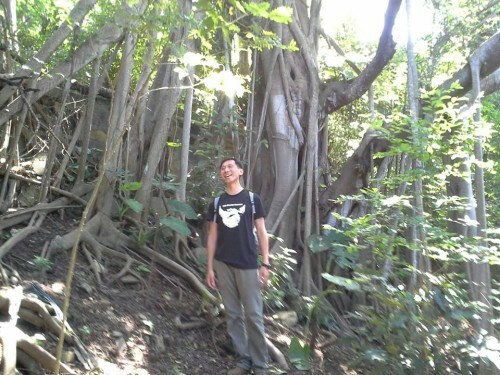 Dr. Edward Yiu, Associate Professor of the Department of Geography and Resource Management at the Chinese University of Hong Kong, was recently interviewed by Ming Pao in regard to a dated ranch in Pok Fu Lam, which accommodates a large amount of old trees, as well as his recent campaign on protecting the site against the government’s development plan. The heritage of the old ranch has been hidden in the mountain slope next to Chi Fu Fa Yuen in Pok Fu Lam until a few years ago. It was discovered by some locals, including Mr. Steve Sau. They found in there many blocks of stone walls, which were used to build cattle houses and cottages, and dozens old trees, including 19 that are stone wall bayan. The old ranch was built by Dairy Farm in 1886 and purchased by Hong Kong Land Holdings Limited for residential development in 1972. Part of the land was built into Chi Fu Fa Yuen, a large private housing estate, and the rest was given to the government as land exchange. 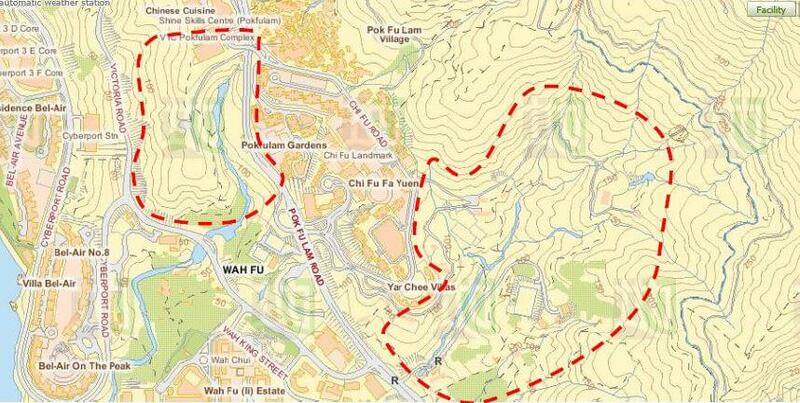 It was then left alone until recently the government announces its plan to rebuild Wah Fu Estate. The site is also included into the new development plan for 9,000 new flats. 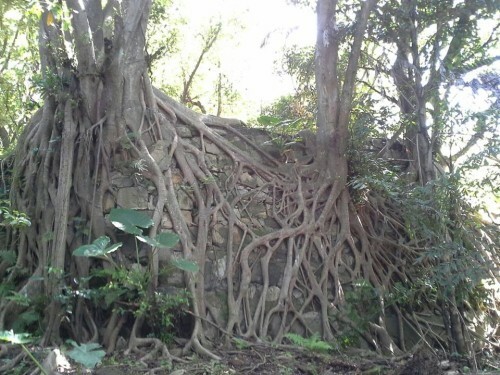 The belated discovery by locals amazed Yiu, who is also a resident in the neighbourhood: “How could such an impressive group of stone wall trees be ignored by people?” He has been standing shoulder to shoulder with some other residents, with a belief that residential development in such a site of high historical and ecological value would cause a great loss to Hong Kong. He proposes to mark the area as a protected green belt and convert it into a natural ecological and heritage park. Yiu argues that it is a problem left in the past that the land was zoned residential. Under the residents’ continuous field investigations, they found that the area, if linked with the Pokfulam Village and Béthanie in its surrounding, could be well-qualified as the first ecological-heritage park in Hong Kong. Massive stone wall trees in the old ranch. Yiu and Sau took the reporters for a tough field trip to the green belt and showed them the magnificent old trees. In the old ranch, the trees are safely attached to the stone walls and have grown into impressive scales. In the peaceful space, their aerials roots are much richer than those situated in the urban area of the city. Just as precious in city life, the trees as habitats accommodate various kinds of birds, butterflies and rare frogs, like Xenophrys brachykolos and Quasipaa exilispinosa. According to Yiu, the wild life, the natural scenery with streams, and the Scottish architectural heritage including cattle pots, milk cottages and stone bridges could be promoted as main attractions in the proposed ecological-heritage park. The park would be the first of its kind in Hong Kong, but not so in Asia. 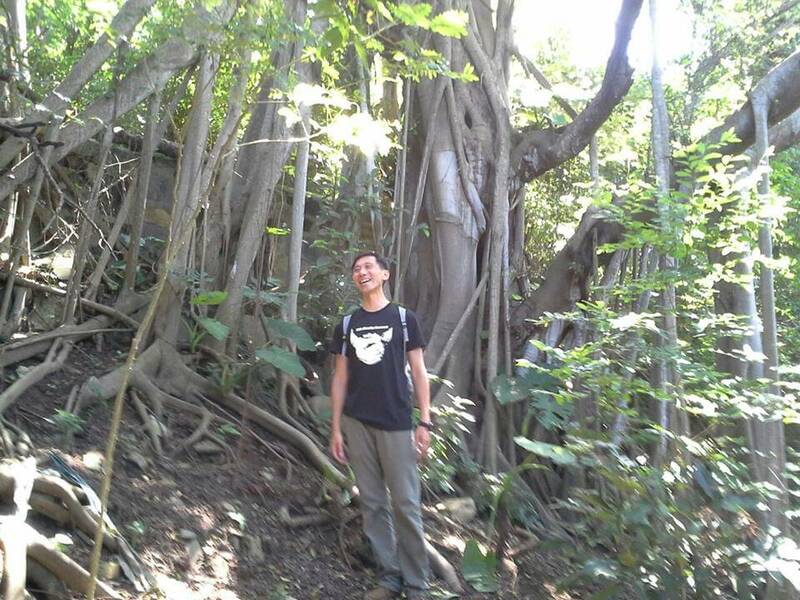 Yiu and his companions have taken reference from Taiwan, where a drafted “Natural Ecological Park Autonomic Management Regulations” has just been sent to the Taipei city council this summer, with an aim to put ecological environment as a priority among engineering and urban planning. Some of them are also going to Singapore for a field study very soon. 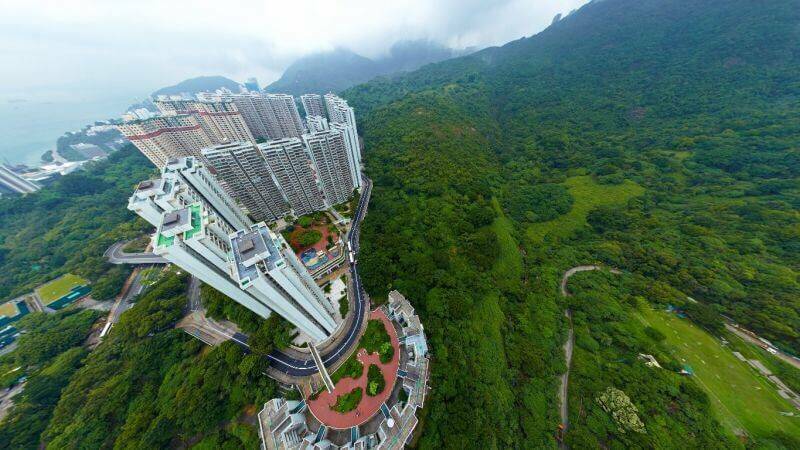 Hong Kong has always been known as a concrete jungle, an ecological-heritage park right on the city fringe seems more like a dream than a possible plan. However, looking at the examples of nearby Asian cities, it is obvious that an urban fringe park is a lot more natural than planting a few trees along the roads, bringing more benefits to both the plants, animals and citizens. It could be time for the Hong Kong government to review its green policies and to look for alternative when pushing ahead with its housing development plans. Julian Kwong is actively calling for the preservation of what remains of the Dairy Farm. He urges the Antiquities Advisory Board to conduct a study of relics at the farm, to initiate officially grading these relics and to request the Government to conduct a comprehensive Heritage Impact Assessment (HIA) for any development proposals in the area and conserve the majority of the ruins. This article was first posted on 28th August 2015.